Here are two new stills from The Dark Knight Rises. The one below is a close up of Anne Hathaway in her Catwoman costume. 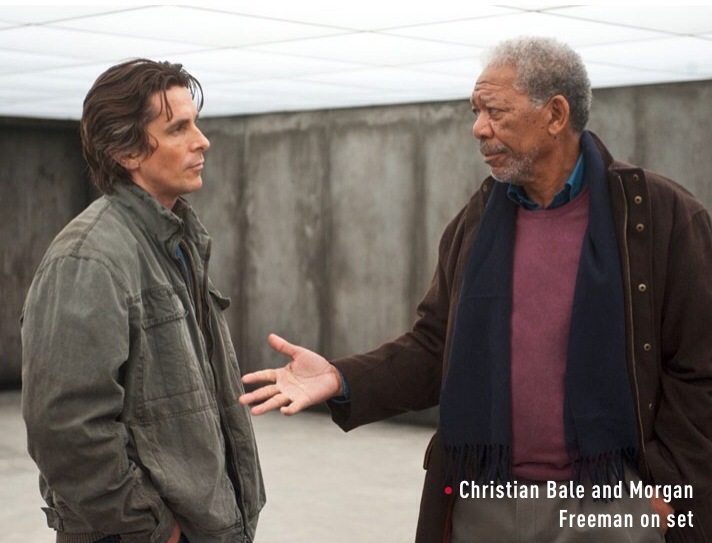 The photo above is of Christian Bale and Morgan Freeman in what looks to be the start of an intense conversation. Head over to CBM to check out some other hi-res stills from Christopher Nolan's last Batman film. The Dark Knight Rises arrives in theaters on July 20.